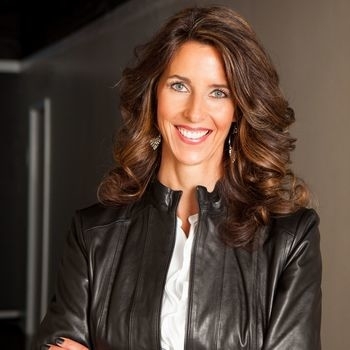 Meet corporate executive, former Naval Officer, F-14 Tomcat Fighter Pilot in the U.S. Navy…and busy mother of four: Carey Lohrenz. She also happens to be the first female Tomcat Fighter Pilot in the U.S. Navy to fly the F-14 and trained at the pre-Olympic level as a varsity rower in college. Carey then attended the Aviation Officer Candidate School before jumping head-first into the Navy. Over the years, Carey has shared her highly sought after expertise in leadership and diversity training with audiences of all shapes and sizes. This includes numerous Fortune 100 companies such as AT&T, Cisco, and State Farm. So, how does a Navy fighter pilot gain credibility in speaking to the business world? Let us explain a little more. In addition to overcoming obstacles in the heavily male-dominant environment of the Navy, one experience on the job includes being one of less than five female aviators, out of 5,000 male crew members, deployed on the USS Abraham Lincoln. We’d take Carey’s advice on diversity training and leadership any day. "1. Get pitch perfect (yes, you need to know your content inside and out) but you also need to know how to carry yourself -- make eye contact, speak louder than you think you need to, use pauses to your advantage, avoid being flat, carry yourself well (posture) and be true to yourself. 2. Do not let the room get away from you. When you're in a room of investors, male investors, be prepared for potential heated discussions or loaded questions. It's your job to bring people back to the task at hand. 3. You're in charge. Taking control of the room lets the audience know you do not get rattled, can handle things and know your content even under pressure." Despite the barriers that have been broken by women in the business world and beyond, imbalances like the one in venture capital should be viewed as source of encouragement. This is yet another sector of the corporate world that women, and men alike, have the potential to change! It all starts with the power of a well developed, effectual voice.